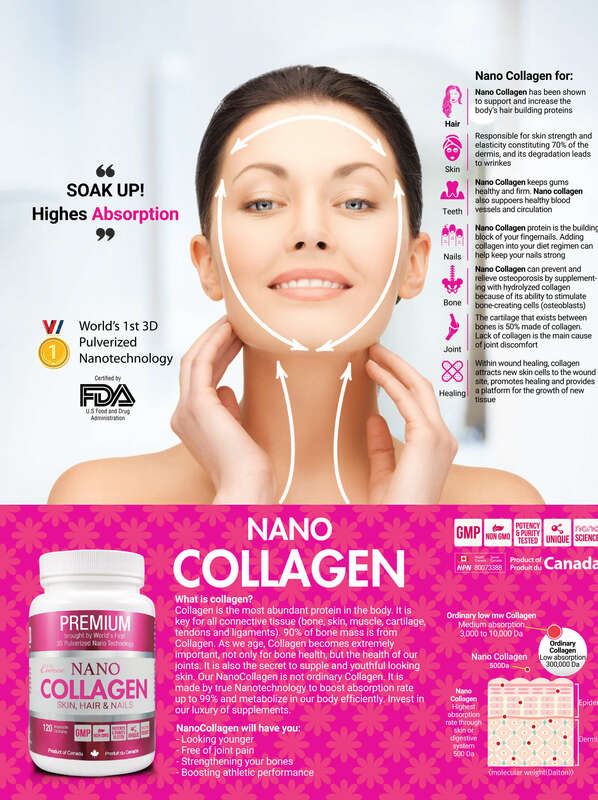 Nano Collagen powder now has a new improved version! Nano Collagen tablets with Ceramides! Nano Collagen tablets is convenient and easier to carry everywhere. Now with Ceramides, it is more effective in supporting healthy and youthful skin! Collagen is the most abundant protein in the body. It is key for all connective tissue (bone,skin,muscle,cartilage, tendons and ligaments). 90% of bone mass is feom collagen. As we ae, Collagen becomes extremely important, not only for bone health, but the health of our joints. It is also the secret to supple and youthful looking skin. Our Nanocollagen is not ordinary Collagen. It is made by true Nanotechnology to boost absorption rate up to 99% and metabolize in our body efficiently. Invest in our luxury of supplements. is responsible for the manufacturing of Nano Collagen and they take full responsibly for their claims.